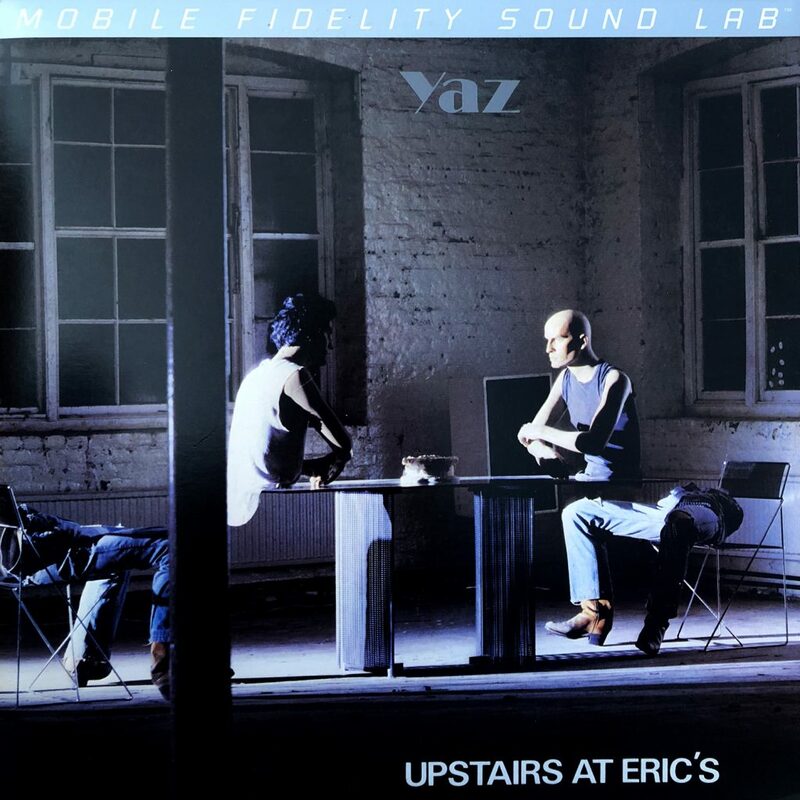 This limited edition of Upstairs At Eric's was released in the US only in July 2012 – therefore under the name Yaz instad of Yazoo. The album is remastered by Mobile Fidelity Sound Lab, who have a good reputation for reissuing classic albums. The albums are individually numbered, but there are no information of numbers of copies available. 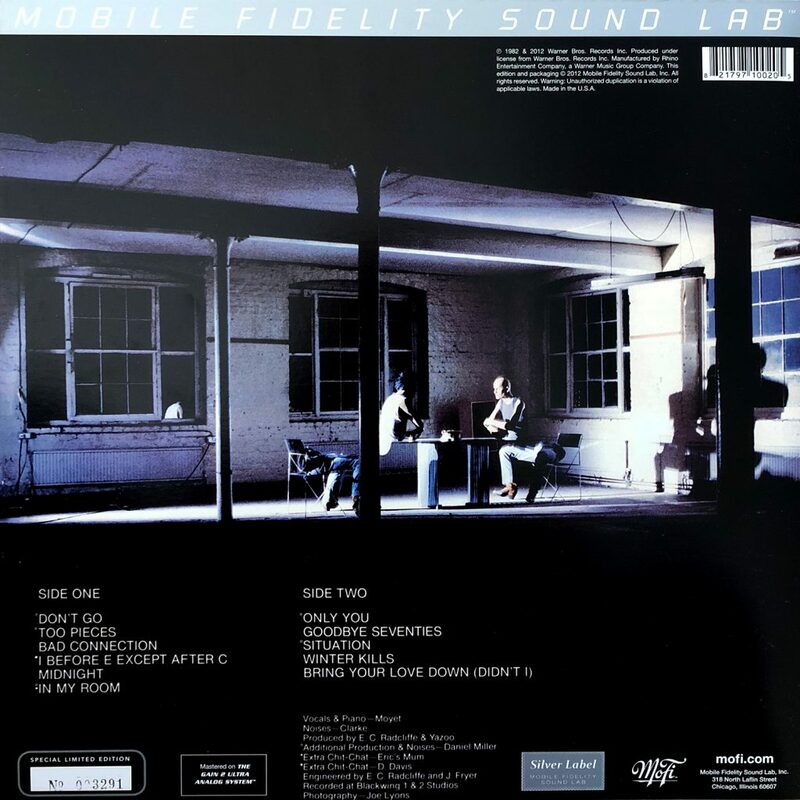 The tracklisting on this release is identical to the original 1982 UK release – including Tuesday, which the original US 1982 release did not. The iconic cover photo of the two mannequins was shot by photographer Joe Lyons at his studio in north London, but the actual design is uncredited. Lyons shot several different photos of the scene and variants from that session have since been used on the cover of the In Your Room box set, the Nobody’s Diary re-release and the Reconnected EP – all from 2008. Being the most experienced songwriter at the time, Vince Clarke penned seven of the albums eleven tracks, including the two singles, though two of Alison Moyets tracks really stands out – even today – namely Midnight and Winter Kills. Can't stop now, don't you know? Can you hear me? can you hear me at all? I'll lose so much more if you go now? Didn't I bring your love down? Didn't I bring your love down all night?